Salone del Mobile (a.k.a. the Milan Furniture Fair) is the biggest design show in the world, showcasing the highest caliber of talent as it applies to art, interiors, furnishings and design thinking. Needless to say, it’s heaven for the design-obsessed — and next week, I’m attending for the first time. Cue high-pitched squeal of excitement. However, Salone is so much more than a trade fair. Clued-in attendees like to focus on the happenings outside the pavilions and explore the events, showroom presentations and pop-ups that emerge during Design Week in the various design districts around the city. This is known as Fuorisalone. Collaborations between design firms, publications, restaurants, furniture companies and even tech and fashion brands create a complete urban regeneration of the city. And the anarchic Fuorisalone isn’t run by anyone or anything — it arises organically and sweeps the city of Milan. In preparation for my trip, I asked designer friends, locals and repeat attendees for the inside scoop. So without further ado, here are the names to know, places to see and where to eat, drink and play at Milan Design Week. Workplace 3.0 - discover experimental design in the workplace. Themes: Liquid Space, Privacy, Smart Office, and Worker centered design. EuroLuce - The International Lighting Exhibition is held across four pavillions (9-11 and 13-15). Versace Home - the Versace villa will be open for a special exhibition in collaboration with interior designer Sasha Bikoff and artist Andy Dixon. Pro-tip: Fuorisalone is massive and going all over the city just isn’t feasible. Pick a district or prioritize something you’re dying to see and plan on exploring all the pop-ups in that area. I’m hoping to spend a day in Brera and figure out the rest. Full list of Brera events here. 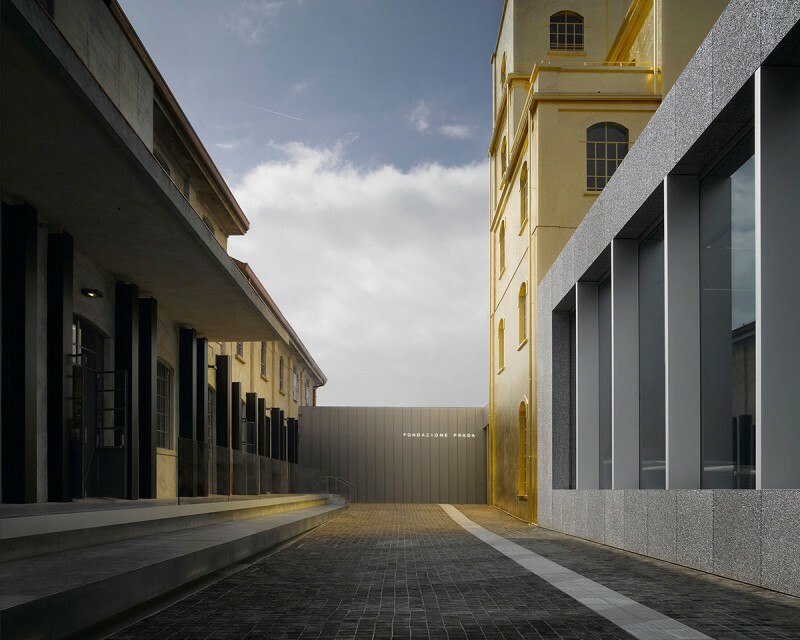 Photo credits from left to right: Apparatus; Vogue Italia offices reimagined by Faye Toogood for Salone 2018, photo by Delfino Sisto Legnani via Vogue Italia. Click here for a complete guide and map to the must-visit design districts of Fuorisalone. Terraza Triennale - new. trendy. stunning views. BistRO Aimo e Nadia - founded by an influential Milanese gallerist. Interiors done in collaboration with Etro. Menu by a Michelin-star chef. Need I say more? Fioraio Bianchi Caffe - a flower shop and restaurant serving contemporary Italian cuisine. Carlo e Camilla - housed in a defunct sawmill, this stunning restaurant features communal dining in an industrial setting and has been featured in several design publications. Raw concrete and exposed brick are the perfect canvas for the giant antique crystal chandeliers, Richard Ginori tableware and Cappellini chairs. Ceresio 7 - rooftop pool + craft cocktails and food = a total scene. Bvlgari - the ultra-chic, ultra-famous hotel is an institution in Milan. The recently added garden restaurant, designed by landscape architect Sophie Agata Ambroise, is perfect for afternoon tea or an Aperol Spritz. Genius, I know. One of the girls in our group came up with this idea. Spending a few days relaxing, exploring and aperol-spritzing your way through the picturesque towns of Lake Como — prior to the madness of Salone — is a good idea 100% of the time.